Want Unlimited VETtrak Training for Your Team? Do you want to provide unlimited VETtrak training to your organisation for a whole year? For only $99 + GST a month (12-month contract) or $999 + GST (annually), your team will have unlimited access to our suite of E-Learns. This exclusive offer ends on COB October 31, 2017. Upskill your team in the most crucial areas of the VETtrak software. Upon completion, you will receive certifications sought after in the RTO industry. 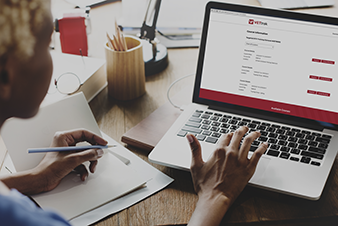 By subscribing, you’ll be able to satisfy your Professional Development requirements for your RTO as well as be kept up to date with industry changes. To organise your subscription or to request a brochure, call VETtrak Training on (03) 9624 2276 or click below.